Scheduling has started for the 2014 Holiday Mini Sessions! As always, these sell out so don’t want till the last minute to schedule! *Booking Special!! * 50% off the studio session fee for Holiday Mini sessions taking place in JULY (limited availability), 25% off the studio session fee for Holiday Mini Sessions taking place in AUGUST. These are perfect for school aged children who will not change a whole lot between now and the holidays. 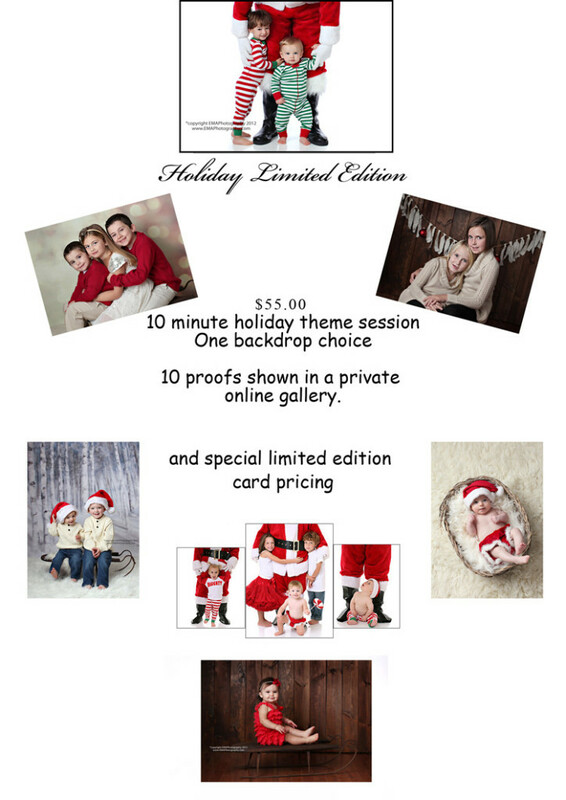 10% off the studio session fee for Holiday Mini Sessions taking place in September.